As gamers we play a lot of games; we usually enjoy most of them but they typically fade from memory after time. But every now and again we come across something so fantastic that it resonates with us for years and years. I can honestly say I have only played a small handful of those games, but I think I can now add, at least for myself, Xenoblade Chronicles to that exclusive list of games. From the opening scenes of the game, you know you are in for a treat. The world in which you explore during your adventure is actually the body of two titan like beings, the Bionis and the Mechonis. These beings were once locked in battle but after a time the Bionis and Mechonis bested each other and then lay dormant. From their demise sprouted life on this world surrounded by an endless ocean. The story picks up thousands of years later. The beings of both Bionis and Mechonis have now picked up where the titans have left off and have been doing battle for some time. The Homs (humans) of Bionis want nothing more than to live in peace, but are forced to fight for their lives against the faceless Mechon of Mechonis. 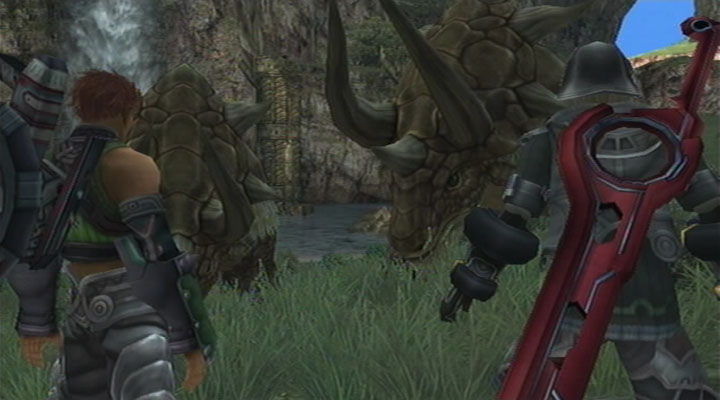 After the Battle of Sword Valley the year prior, the homs believe they had seen the last of the mechon, thanks to the hero Dunban and his mysterious sword the Monado. They have since gone about living their lives in relative peace with one another. From here the game picks up with the main protagonist Shulk, a young man who spends most of his time in the lab studying the Monado and the secrets it hides within. After a series of events, Shulk is entrusted with the Monado and sets out on a quest to end this battle once and for all. What he finds out about himself and everybody around him along the way will change him and his companions forever. He may also find out that this world is not so black and white and truly operates in shades of grey. I assure you what starts out as simple enough becomes something much greater than you will ever expect by the time you reach the games thrilling conclusion. Sacrifices are made, lives are lost, relationships grow stronger, and hearts are broken and mended. And yet it does not suffer from the typical JRPG convoluted story nonsense you have come to expect. I’m looking at you Kingdom Hearts, and don’t get me wrong I LOVE Kingdom Hearts but it is a real pain to keep that game straight in your head, but I think that is part of its charm. Regardless that is not even a problem in Xenoblade. The game answers and raises new questions along the way, and never leaves you hanging for too long. 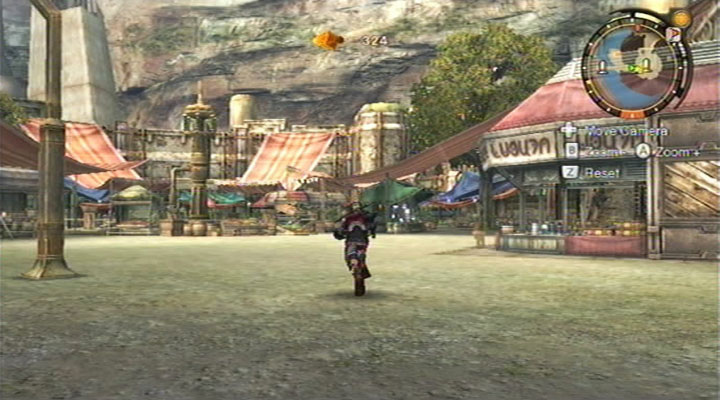 Even when you set the epic story aside, Xenoblade itself is loads of fun to play. The world is made up of several large open areas. These areas have no load screens in them at all. The only time you see load screens during gameplay are when you advance between the different areas. These expansive and open environments offer breathtaking views and plenty of exploring to be had for the adventurous type. All of the creatures in Xenoblade also inhabit this world with you and when you run into them you simply engage them in battle immediately in the environment itself. No battle scenes or anything like that, it all happens in real time. 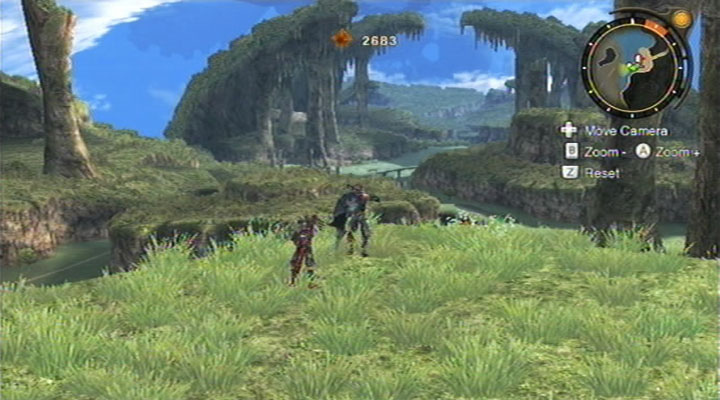 Speaking of combat, Xenoblade really excels here. At first the combat came across as awkward but as my party leveled up and gained a number of additional ‘arts’ things got exciting quick. Your character is controlled by the thumb stick and your characters auto attack naturally as long you are close enough to the enemy. You then use the d-pad to cycle through your arts and then execute them with the press of a button. These arts have cool-downs on them and recharge over time so you can’t just spam the same ability over and over. Arts in Xenoblade range from standard melee attacks, to heals, and different kinds of ‘buffs’ and ‘de-buffs’. These arts can later be upgraded several times to increase their potency and usefulness as the game progressively gets more difficult. The game also features chain attacks. When a special gauge is filled up at the top of screen you can go into a special mode that allows you to chain together your parties’ arts. If you use the same kind of arts, indicated by the icons color, in a row the damage your arts deal will increase greatly. The combat gets even deeper than that but the game eases you into it and if you are ever confused Xenoblade offers plenty of in-game tutorials to help you out. Probably the coolest bit about Xenoblade’s combat would be the Monado. 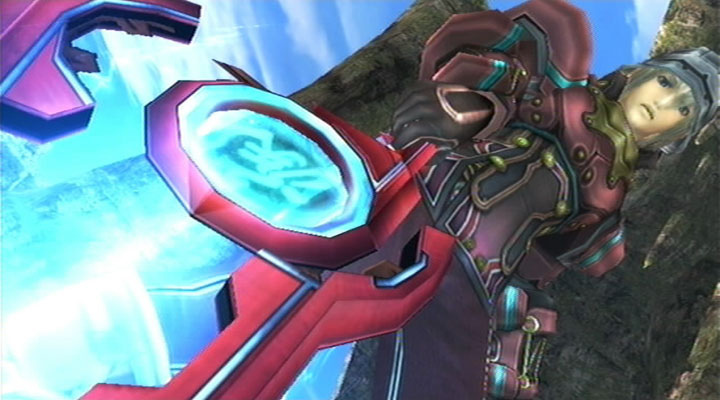 In dire situations the Monado will grant Shulk a vision that allows him to see several seconds into the future of a battle. These visions show Shulk or one of his party members taking damage from an attack that would other-wise kill or gravely injure them. You the player can then react by warning the appropriate party member and then use one of their arts that might save them from dying or you can activate one of the many special Monado arts that can shield you from the attack. This comes in handy a great deal during Xenoblade and even plays a major role in the story. 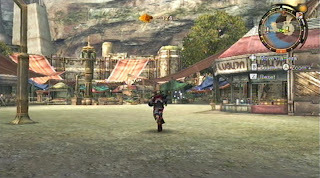 Xenoblade has number of additional features. The game offers thousands of different pieces of loot and other items, but don’t worry there is plenty of inventory space and different options for sorting through your items. Also special collectables are found throughout the world as blue orbs and can be placed into a special book called the collectapedia. Once categories of the book are completed you are rewarded with specials gems and equipment. So for die-hard completionists, there is plenty to keep you busy, including in-game achievements! 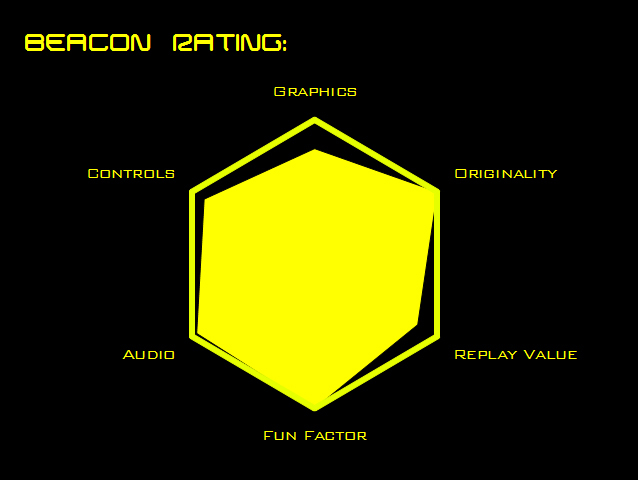 And these achievements are not completely pointless they also award your party with additional experience points. For those who enjoy going off the beaten path, Xenoblade offers about 400 optional side-quests. It is highly advisable that you at least do a good portion of them as the additional experience you gain from doing them will aid you in your quest later in the game. 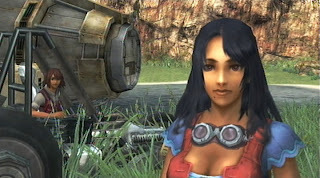 One of the best things about quests in Xenoblade is the auto-complete feature. For the majority of quests once you complete your task wherever you are in the world the quest will auto-complete and hand you the reward. You don’t have worry about going all the way back into to town to turn it in. This really saves a lot of hassle and time in an already lengthy game. To give you an idea of how long the game is, my first play-through took me nearly 78 hours. However, it never started to drag on or get boring. If anything the excitement and anticipation ramp up and then explode at the end. It got to the point when I began to ignore many of the later side-quests and instead focused exclusively on the games main plot quests only because I knew I was getting so close to the end. My final play session lasted eleven hours. I could not put the controller down, not even for food. I’ll admit it got a bit unhealthy there but I could not help myself. The battles became so intense near the end that I would shout “YES!” when I would win after fighting a boss for nearly forty minutes straight. This brings up difficulty. While I would say about 80% of the game is moderately challenging, most of the truly difficult content comes from optional mini-bosses and the end of the game. I’ll admit that things got a bit out of hand near the end, but they never got frustrating, just incredibly challenging. But with incredible challenge comes the feeling of incredible reward and some pretty nice loot to boot. On the audio side of things I was blown away by the games music. Xenoblade’s music is composed by several different people including the renowned Yoko Shimomura (Kingdom Hearts, Front Mission, and the Mario & Luigi Series). The tunes range from beautiful orchestrated pieces to some head-bang worthy rock. Each piece complements the situation perfectly. I have already added several tunes from Xenoblade to my music library. The game also features a wonderful English voice cast if you can accept the British accents. Some performances are better than others but they did a fine job if I do say so myself. If you are a purist the original Japanese voiceovers are also on the disc and you can switch between the two whenever you like outside of cut scenes. I really struggled to find anything about the game that I didn't like. While I am sure I could find some things to nitpick about, like wonky physics or the lack of any lip-syncing, it would just be pointless because the positives overshadow any negatives by tenfold. 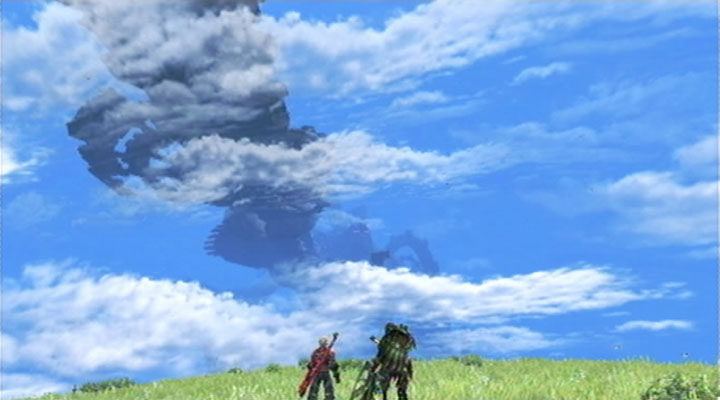 I am just in awe of Xenoblade Chronicles. It has been years since I played something of this magnitude; not since Wind Waker have I been so touched by a game. With Xenoblade likely to never make it over to the Americas, it is a real shame that so few people will ever get the chance to play through this gem of a game. I would recommend that you import it if you are truly interested. Soft-modding a Wii is now easier than ever and major game retailers in Europe ship internationally. But please be sure you purchase the game legally. Monolith Soft worked incredibly hard on Xenoblade and it really shows; so support them and their future endeavors on the Wii U. Xenoblade Chronicles gets my highest possible recommendation. Do whatever you have to do to play this game.